Australian actor best known for starring in movies like Memento, LA Confidential, The Adventures of Priscilla, Queen of the Desert, Lockout, The Proposition, The Hurt Locker, Animal Kingdom, The King's Speech, Iron Man 3 and The Rover. On tv he is well known for playing Mike Young on soap opera Neighbours. In a TV week article in 1989, Guy mentioned his height, saying: "I'm 178cm". He is a about average height this seems spot on to me. Really like this guy and he was in some good movies LA Confidential, Memento, Count of Monte Cristo remake, and The Time Machine (among plenty of others) for awhile there in the last 90's to early 2000's this guy was a really hot actor. I always thought he was a 176-177 guy, I'm watching Memento rn and I was wondering. I thought he was taller, he’s listed as 5’11” on Google. He looked like only an inch shorter than Russell Crowe in L.A. Confidential. He looked a little bit taller or the same height as Kevin Spacey, but Cromwell did tower over all of them at 6’6.5”. He didn’t look too much shorter than Colin Firth in the King’s Speech, I think he looked at least 5’11” in that movie, but maybe he was wearing lifts. In Memento, he also looked like 5’11” next to Carrie Anne Moss and Joe Pantoliano who is listed as 5’9” on here, looked more than an inch shorter than him. I can’t believe he’s as low as 5’10” unless he was wearing higher footwear for the other movies, he probably measures near 6 foot in the morning. He gives off a taller impression than me for sure. I’d guess 5’10 1/4”-5’10 1/2” for him at the very least. I think that sometimes - just sometimes - Guy can pull off a bit more, but not in the above picture! I'm probably thinking about the film 'Ravenous', in which he's bound to look tall, starring alongside Robert Carlyle, who is small in stature but ferocious nonetheless in anything he chooses to play that way. He's absolutely psychotic in 'Ravenous', whereas Guy is a great deal more placid than Robert, but noticeably taller. I doubt he's 179 since he claimed 178 himself and in the first comment on this page, Rob said Guy was barely taller than 174 cm Stefan Dennis in an old scene on Neighbours. 179cm is an 80 percentile chances. Most of the 5'10 actors were not far from listing but like 177.5cm range. I would argue Guy a stronger 178cm maybe a few mm over like this listing given. I think Guy claiming 178 should be filed under 'he really is that height during the day'. Sorry, but at least one of my relatives has seen him and said he's of average height, he's lucky to have this listing let alone receive an upgrade. 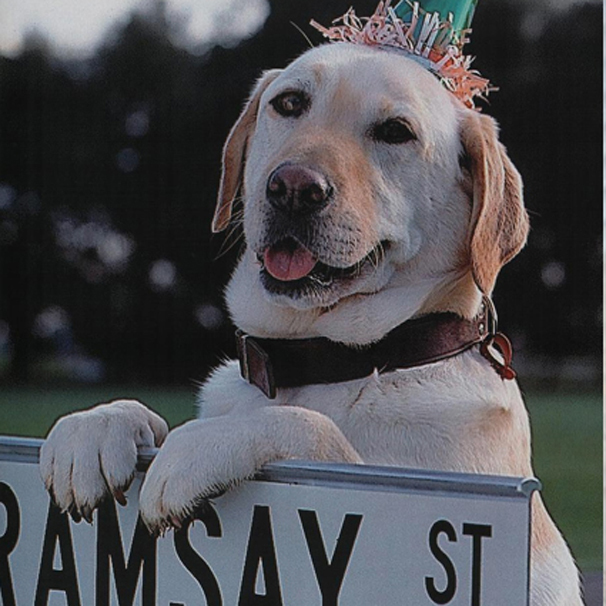 Editor Rob: actually Guy has been called 5ft 10 in newspapers around the late 90's, just after emerging from his forgettable role on Neighbours, a role in which he was out-acted by BOUNCER the dog, to a guy who holds his own and more in films like LA Confidential! If carrie anne moss is 5'8 , he must be taller than 5'10. Textbook 5'10-177.8, the quarter inch isn't necessary, I doubt he'd be eye to eye with Sizemore and Ritchie. I reckon in memento, he slipped 2 cm lifts in his shoes. As for la confidential, I don't know. He even admitted 178 himself unlike @matt179 who rounds his 178.5 to 179. I stand corrected, he's a flat 5'10, I saw him recently and I'm 1 and piece inches taller than him. I Was wearing 2 cm shoes while he was wearing runners. 5'10.5, as he matched up to Russel Crowe in L.A. Confidential". Guy looks a bit like a college lecturer in this picture! I do remember him from 'Neighbours', but I didn't realise it was the same, eh,Guy starring in these films for quite some time, I'm afraid to say! It might have something to do with the high standard of their voice coaches, as accents can really throw me sometimes! If I had to have guessed Guy's height, I would have said "5ft11 at least!" He does have a good posture, and I did get the impression he was taller. I'll take a better look next time I see him in 'Don't Be Afraid of the Dark'; I can compare him to Katie Holmes! Editor Rob: Pedro, it might be dependent on your hairstyle, if flat then he'll probably seem more noticeably taller than if you had a combed back or funky style. Damn fine actor can often look 5 11 hes pretty lanky. He looked taller then Crowe and he was supposed to be huge..
@Rob did he wear lifts in Memento?? Because he looked taller than the 5'10" mark beside Carrie Anne Moss and Joe Pantoliano. Editor Rob: I don't know if he did...but he is probably a good example of an honest 178cm range man. His original estimate of 5'10 might be better l.
he really looked it in memento. Great actor, arguable one of the most underrated. He has that kind of height where he never looks either short nor tall, never really thought about his height when I watch his movies. He claims to be 5' 10" so why do you list him at 5' 10.25"? To me he looks an honest 5' 10". Rob, would you add to his credits? : The Adventures of Priscilla, Queen of the Desert,, The Proposition, The Hurt Locker, Animal Kingdom, The King's Speech, Iron Man 3 and The Rover. He's one of the better actors around, very versatile. Rob, don't you think Guy was more closer to 5"ll than 5"10? Yea, this is spot on. Saw Lawless the other day. Couldn't compare him to other actors, but he definitely looked at least 5'10, maybe a little bit over, but nowhere near 5'11. 5'10.5 would still be a stretch. I thought he was taller to be honest. He looked quite tall in The Rover (great film). I'd almost go for 179-180. I think Pattinson could be a legit 184 - 185. Pearce vs Pattinson is in my opinion a typical 5ft 10 vs 6ft situation (or 5ft 10.25 vs 6ft 0.25 as is listed, for that matter). Don't know what pictures you guys have seen to think they are the same height - Pattinson when standing tall looks easily 1.75-2in taller than Pearce for sure. I used to think of Pattinson as a 181 cm guy, 182 at best, but seeing him with Pearce, who for the most part looks like a legit and honest 178 cm guy, I think Pattinson is pretty much 183 cm range - 6'0.25 is very arguable. He looked about the same height as robert pattinson in the rover previews and when they were promoting it. 178cm. Not a huge difference with Robert Pattinson, I'd guess the latter looks 4-5 cm taller in photos from the premiere of The Rover. He can look between 178 and 179 cm. 5'10.25 is spot on. @Arch I agree, blonde spikes really suited him. Looks a strong 5'10" with Nolan. I really struggle to see him below 5'10". 5'9.5 176-177 cm. This guy rocks, i love that height range too, its ideal for guys because women are mostly between 5'3 and 5'7.He would have made a much better Batman than Affleck too. He looks 5'11" in Memento. He looked ridiculously good in that film. @Rampage, I dunno, in some scenes Pearce looked to have the edge on Crowe and in others Crowe looked 1-2 inches taller. I think they were pretty similar but I think Crowe was likely a bit taller. I think he could be 177cm and Crowe is 179cm. He made Russell Crowe look a solid 6ft in L.A. confidential. Seriously, there was about 2in there. Looks more 177cm in The Hurt Locker. like I said in another page of this site, height depends on how its measured. How straight the guy stands, if feet are together or apart, if a scale was used (which invariably gives reduced results as it gets tilted downwards from the head to the wall). So a so called solid 5-10, could honestly be 5-11. I feel, that for all practical purposes, wearing normal shoes and including a bit of hair he looked at least 6-0.5inches in memento, meaning u could call him a casual 5-10.5 to 5-11 with moderate comfort. He was taller then GP with heels in iron man 3, or maybe just excatly the same height. So this Estimate is probably spot on. Whenever I saw him in 'Iron Man 3' standing next to either Gwyneth Paltrow or Robert Downey, Jr., he looked about the same height as the former who is 5'9", and a little taller than the latter who is 5'8" 1/2. He must be at least 5'9". yes. he really could' hide his 5'10 frame he claim and looks it alot , his proportion and frame even look taller than "6-0" leo dicaprio. in the time machine i thought he was 5'11.5 untill i shocked he only claim 178cm, such an honest guy.. I use to think he was 5 foot 8 but after close examination, i think 5 foot 10 is right on. off the crap Guy is an honest 5'10. in 2000 ravenous guy had 5 big inch under 6'4 Jeffrey Jones. so under 5'10 you guys think? james cromwell is a weak 8" taller than Guy and listed 6'5.5 which is fair. 5'9? also only 5'7..? noo waay..haha.. im 196cm i met Guy and he looks 5'2 and he told me kenny g sells his saxophone to him and told Guy he was listed 5'2 why steal his "shorty guy crown" away and while Guy say james cromwell was struggling hit 5'10 in L.A.Confidential.. lastly Guy say katie holmes afraid of the dark while shes weak 5'1 admit tom cruise stand no taller than 4'1 danny devito. LOL.. I saw Guy the Other day in sydneys eastern suburbs... I think his here for a premiere... he was dressed really wierdly...think Saturday night fever-ish... and commensurate to that dress code, he had a pair of solid 1.5 inch heels on... he looked around 5'10 in them... So realistically Id say hes within half an inch of that mark. @TheVerve that sheet of paper shown in the trailer describes some other character in the film which is being chased by the one played by Guy Pearce, so no lack of accuracy there. Looked 5'9 (175cm) in LA Confidential. Its says that he is a 6ft2 white guy LOL. :D This would be an upgrade viper. But he might be 5ft9.75, 5ft10, 5ft10.5, 5ft11 any of these heights. 178cm is too low for Pearce. Rob, this guy looks near 5"11. 179cm maybe? LA confidentual is a weird one to judge. the actors in that movie have such a varied height range. kevin spacey to me is impossible to pick i'd say anywhere from 5'9 to 6'0. and at the start kevin spacey seemed taller though they never stood together on screen but when spacey spoke to him from behind the desk he seemed a tiny bit taller though pearce could have been on lower ground. but when the actually stand next to each other when they are teaming up i reckon pearce had 1.5 inches on him. maybe 5''10 for space and 5'11.5 for pearce. pearce is quite muscular in reality, i saw him on spicks and specks and i imagined he'd be about 6'2 just because of his lean and athletic posture. though. funny though the first movie i saw him in was the count from monte cristo and he was so short next to caviesal. i think caviesal must have 3 inches on him. im confused hows he so tall near 5'9 pantoliano. This was the height difference I saw throughout the film. Great actor. Confusing height. He looked pretty tall in memento but short as hell in LA confidential. Type "guy pearce, hanson" into gettyimages and you see him in 1.25" sandals next to director Curtis Hanson, who's listed 6ft1. He is dominated by about 4", though Hanson is in boots. He also get's dominated by Nick Cave on gettyimages (again search "pearce, nick cave") and you can see there's about 4.5 inches between them. I'd say 5ft9.75/177cm is more accurate. I saw him in London a couple of years ago and he was a lot shorter than 5'10" - at the time I was shocked by how wee he was! I reckon he was between 5'6" and 5'8" max. Remember in film they have lots of devices to make people taller than they really are. He is small but in proportion so will look taller on screen. Jesus, I was just watching Memento and I could have sworn he was 5'11". Consistant and legit 5' 10". Doesn't undulate or ignite controversy the way some guys do: Kurt Russel, Kevin Spacey and Will Smith to name a few. he's actually 5'12" according to Guy Pearce Fan.net he's pretty tall. I agree with Ayman. Pearce looks anywhere between 5'10"-5'11", so 5'10.5" would be logical. spacey has been looking 5-10.75 lately in the streets.dr-ray can also confirm this. Anyway I agree with 5'10" for Pearce, but Spacey is a tricky one. According to Glenn, he's supposed to be around 5'10" too, but next to Pearce he really looks 5'9" max. Excellent point Rob! A couple of weeks ago I watched Priscilla Queen of the Desert for the first time, and his acting sucked big time (especially compared to Hugo Weaving/Terence Stamp antics). What puzzles me about LA Confidential though are Pearce's scenes with Kevin Spacey (when they team up to follow Bud White i.e. Crowe), because Pearce looks some 2" taller than Spacey. I've seen the film at least a million times, and I'm pretty sure about that. Really weird. I also believe he is 180/5'11. He looked more than an inch taller than Joe Pantoliano in Memento and Pantoliano is about 5'9. Its worse than the first one , but it helps on what im trying to show . Just saw 'First Snow' last night & in his scenes with Wm Fichtner, they has him standing on curbs to appear eye to eye or sitting. Fichtner is 6'0, so he is 5'9" at the absolute tallest. he does lock shorter, from 5-9 to 5-10. i `de say he is 177-179 cm, not more. in "the count of monte christo" from 2002 he plays with almost 6-2 Jim Caviezel,he locks much shorter, and he does lock 5-9 to 5-10 in the movie ,i would say he is 178 cm. No way. Re-watch Memento for Guy's scenes with 6'2 Stephen Tobolowsky, who literally towers over Pierce. That's more than a 3 inch difference. I'd say around 5'9 is more accurate. Rachel Griffiths is 5' 8 1/2. In "The Hard Word" Guy Pearce appears to be about 2 inches taller than her when she's wearing heels. Thats GUY PEARCE 5'10" on the left and HUGO WEAVING 6'2" on the right. I'd say he's about 5'10". He and Russell Crowe were about the same height and neither were wearing what looked like lifts in LA Confidential. Also Kevin Spacey was close to the samne height and I've seen him in person and he's roughly 5'10". I walked by him in NYC. No way he's 5'11". He was no taller than me and I'm 5'9". No way is he five-eleven; that would make him a near six-footer!!! At least cut him down to 5"10 - it's clear if you watch Memento he's not more than an inch taller than Joe P.
he looks at least 5 cm higher than Pantoliano in Memento. Pantoliano is listed 5ft9inch on this site. Pearce is shorter than Stefan Dennis, I saw a clip from neighbours yesterday, Stefans' about 5'9. Russel Crowe had lifts in LA Confidential because he was an inch taller than Spacey and almost two inches taller than Guy Pearce. I Think that Guy Pearce is 5'10", maybe 5.9 1/2", but not much shorter. 5'11"??? No way. Watch "LA Confidential" or "The Count of Monte Cristo", and compare him to Russell Crowe and Jim Caveziel. If he's 5'9", I'd be surprised. When I saw the movie, two brothers, he looked shorter to me, like 5.9, maybe 5.10. I´m not sure but I think he´s under 180 cm.